Ginkgo trees (also known as ginkgo biloba or maidenhair tree) are deciduous conifer trees with green leaves that turn golden or bright yellow during the fall. The leaves are shaped like a fan with two lobes and radiating veins. Leaf size ranges from 2 to 6 inches. The ginkgo tree can grow up to 100 feet tall. Because of their deep root system, they are extremely resistant to wind and snow damage. They can also be grown in different types of soil, including loam, sand and clay. Ginkgos are known for their beautiful appearance and longevity. They have remained unchanged for more than 200 million years, and are sometimes referred to as the oldest living fossil. During the Cretaceous period, the tree could be found throughout Europe, Asia and North America. According to fossil records, it disappeared from Europe 2.5 million years ago, and from North America 7 million years ago. The tree survived in China and, in 1691, was found in Japan. Gingko seeds were brought to Europe in the early 1700s. The Chinese name for the tree means “silver apricot” in reference to the tree’s fruit, which looks like an apricot dipped in white flour. Only the female trees produce fruit. When the fruit drops to the ground and splits, the outer part of the seed emits a foul smell. Even though Ginkgo nuts have an odor, they are edible and tasty. You can find the nuts in a variety of East-Asian soup and rice dishes. In Japan, toasted nuts are eaten when drinking sake. Ginkgo leaves and nuts have also been used medicinally for many centuries to treat a variety of ailments, such as head sores, blood disorders and breathing problems. They have also been used to improve memory. Ginkgo trees require very little care besides some periodic watering and fertilization. 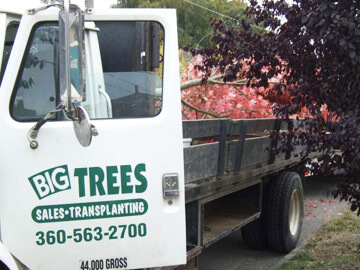 Give us a call today if you’d like to add this magnificent landscape tree to your yard.